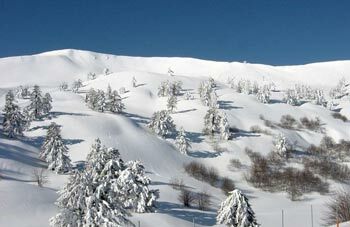 You will find it 45 km from Grevena, 417 km from Athens and 250 km from Thesaloniki. With your own car from national road E75, Athens – Lamia towards Trikala. Your trip will last about five hours. By bus it will cost you about €31.10 and it will take you 7 to 7 and a half hours to reach your destination. 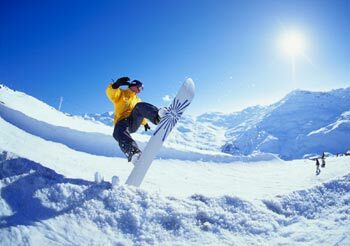 The resort is situated on the mountain of Pindos in an altitude of 1646-2115 m.
There are 15 skiing sites with a length of 16 km in total. There are seven lifts with different names, Philippos, Megas Alexandros, Elimia, Migdanis, Tymfaia and two baby lifts. Daily from 10:00 am till 15:00 pm from December to April. Yearly card: €150 for adults, €75 for children. The daily card for the baby lifts costs €5 for weekdays and weekends. A simple ride to the top with the lifts for guests costs €3. The ski resort is divided in two parts which are connected with a small alley of 100-150 m. The lowest part of the ski resort (1650 m altitude) has the biggest skiing sites and modern lifts, a parking lot but only two canteens. The upper part of the resort (1785 m altitude) is the oldest. It has three brand new lifts, a huge parking lot, a retreat and two chalets where you can relax, have a cup of coffee or eat something for €20 per person. You can also stay the night in one the chalets’ rooms for €80. 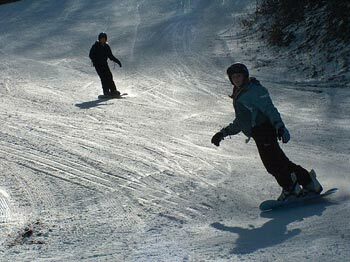 The teachers of the Alpine Club will teach you how to ski or snowboard. You will find the school inside the ski resort at the base of the three-seat lift at the upper parking lot at 1785 m. The cost for one hour of teaching is €35 for a private lesson and €10 for every extra person. Daily teaching will cost you €150 with no restriction in the number of people. For groups of 5-10 people the price for two hours is €20 per person and €30 per person for three hours. The lessons start every day at 9 in the morning. The Alpine Club has a great variety of everything that a skier might need. The ski sets cost from €12 and snowboard sets €15, €12 for the board and €8 for the boots. From the 14th of January a new children alpine academy will start operating every Saturday. This event will include four hours of teaching (ski) along with playing, children’s lift, presents, food and races at the end of the period. 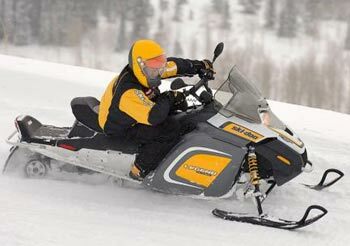 Rent a snowmobile(€15), snow-scooters (€15 for 10’) or try rafting, rappel and 4X4. Call Achilles and he will help you arrange everything tel no (+30) 26510-23222. The oldest site of the resort is the best. Its name is Elimia and apart from the slaloms that you have to try you will also have the opportunity to go down the most difficult slope, Tymfaia. Don Konstantino Hotel near Polyneri is a very good idea made from wood and rock only a few kilometers away from the ski resort offering rooms starting from €90 for a double room. Tel no (+30) 24620-83060. Achilleion Hotel built in five levels offering a wonderful view includes many rooms and suites from €75 for a double room. Tel no (+30) 23320-44111. 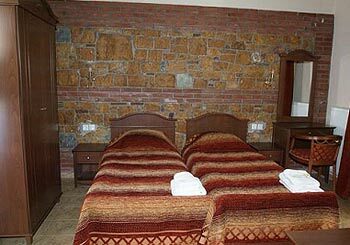 Yiannos guest house tel no (+30) 24630-92492. 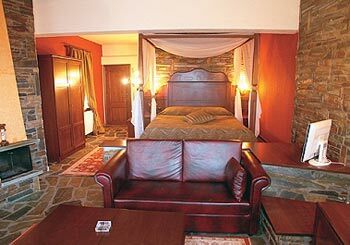 Pindos resort guest house tel no (+30) 24620-86200. 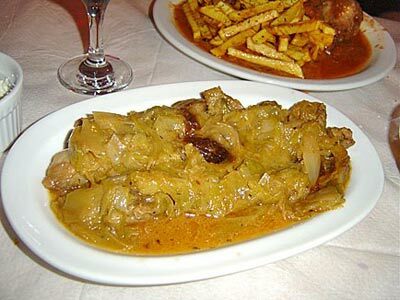 They will all impress you with their traditional cuisine, friendly environment, tasty dishes and excellent service. By taxi (+30) 24620-24199 and local buses (+30) 24620-22242. 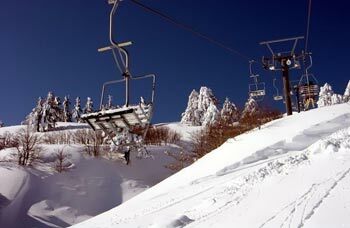 Vasilitsa ski resort (+30) 24620-28001, (+30) 24620-84850, (+30) 24620-84100.